The Lats Legacy Foundation is proud to partner with the University of Southern California to create the USC Lats Legacy Baseball Scholarship. 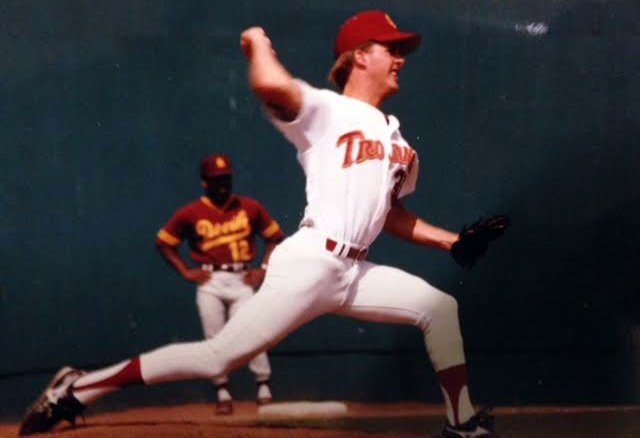 This annual scholarship will benefit a player who exemplifies the characteristics that distinguished former USC Trojan baseball pitcher, Dave Latter: Leadership on the field and academic excellence off the field. Your contribution makes a huge difference in the lives of students who continue to live the dream Dave did. A Big League thank you to the following donors for their big league gifts. We appreciate you! It was his personality, wit, sense of humor, unselfishness, work ethic, and loyalty that has me remember him with such fondness and love. He was a great teammate and a genuine friend to everyone on the team. He was unique, and, in my experience, an exceptional person.